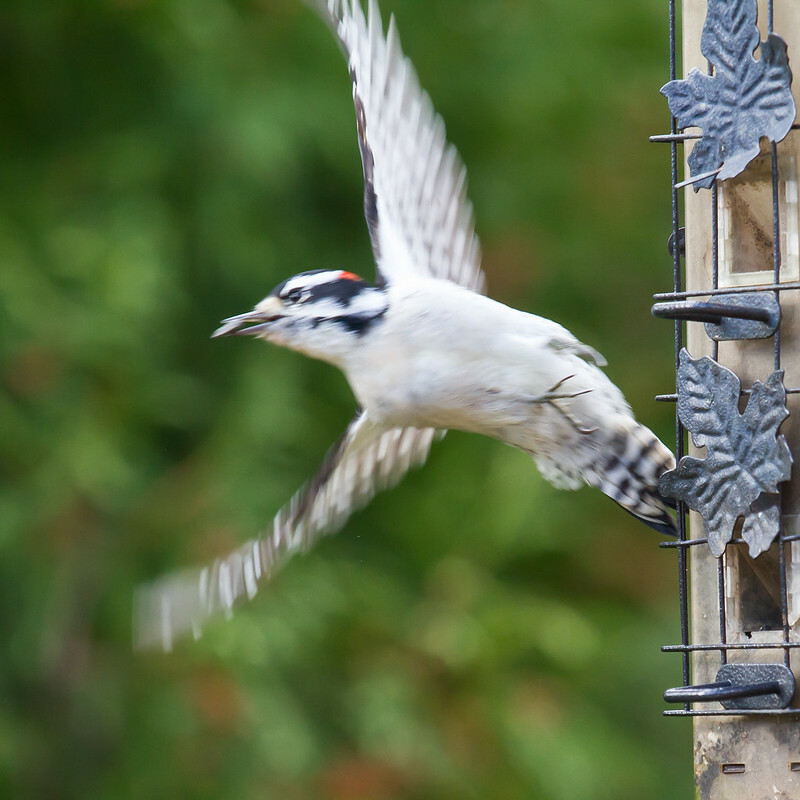 Downy makes a quick visit. This Downy has been at the feeder in the late afternoon recently but he only takes one or two seeds and then he's gone. Yesterday I managed to get some quick shots before he left. Hello Don, they are skittish here this year too, usually very tolerant. Nice shots for the time you had with number one my favorite, nice to see he left with a snack, well done my friend! Thanks Brett. I'm sure he'll get over his shyness and spend more time here. Thanks Jeff. 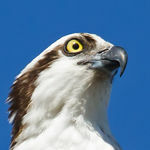 Yes, they are a pretty bird and make for a great subject. 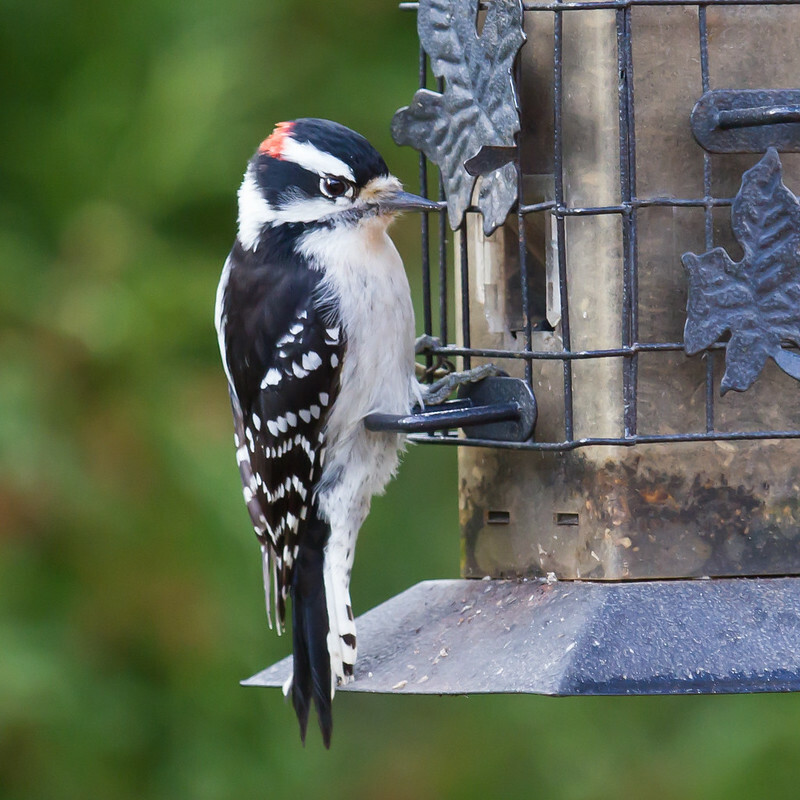 Do you have a suet feeder? 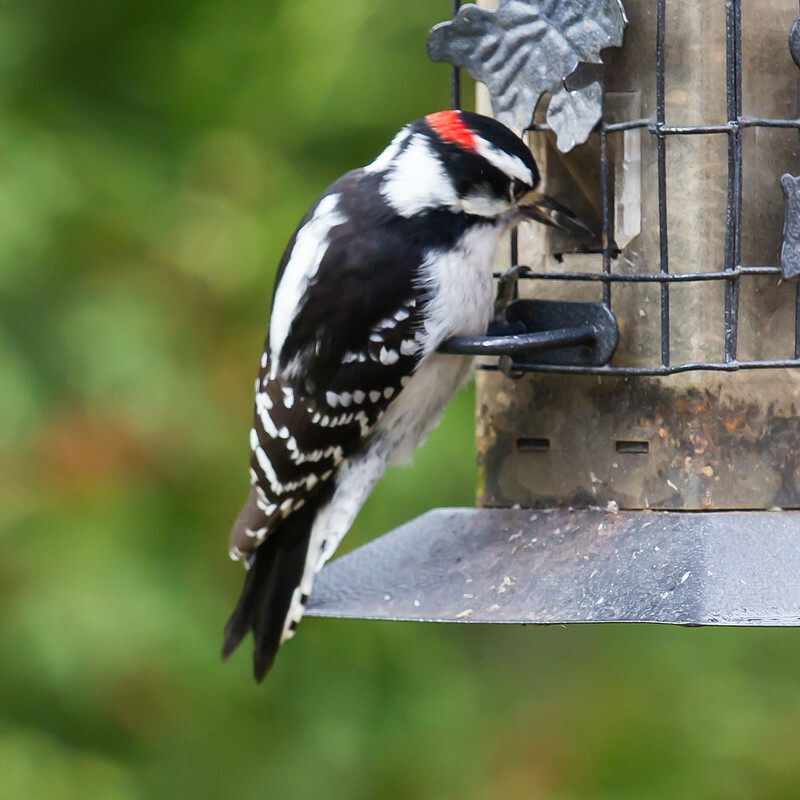 Downy's and Hairy's hang out on my feeders all day just a few feet from my window. Love that first shot. My feeder contains black oil sunflower seeds which seems to attract a good variety. Thanks for your comments. Sometimes the woodpeckers go to the black oil sunflower feeders, but most of the time they take turns on the suet feeders. They sit there for 5 - 10 minutes at a time if they don't get spooked. With the seed, they grab and fly away.